Events! Events!! and more Events!!! Although the visit to Festac Grammar School did not hold as scheduled, we were at Isale-Eko Grammar School on the 20th with RoofTop Mcs. We had a wonderful time as RoofTop Mcs inspired the students. SoulSnatcha started by reading the first chapter of Purple Hibiscus. After that, he emphasised the importance of reading as the way to the top. He also confessed that he had learnt new words by reading that excerpt. Not only were the audience inspired but they also had a good laugh as Snatcha regaled the audience with tales of his ‘scattered teeth’ friend who got all the girls because he read a lot. SoKleva encouraged the students to read so as to avoid ignorance. Also, to encourage them to be more vocal, all the students who asked questions got Farafina wristbands and free cds from RoofTop Mcs. Farafina donated copies of Purple Hibiscus to the school library; the top students in English Language also received Farafina gift packs. Pictures will be up shortly or you can also visit our facebook page, www.facebook.com/farafinabooks for more information. Our Farafina Literary Week has finally come and gone! It was a funfilled week of activities. The event kicked off on Thursday, the 21st with Farafina/Taruwa night. It was a full house (some people had to stand!) and fun all the way! There was poetry, spoken word, comedy, singing and performances by Bez, RoofTop Mcs and other invited artistes. Also, three members of the audience got free Farafina gift packs! On Friday, there was a writing workshop for children. Published writers such as Ayodele Arigbabu,(A Fistful of Tales), Robin Igwe, (The Land of Kalamandahoo) were on hand to teach the kids the rudiments of writing. Also, environmental activist and author, Sola Alamutu read from her book, Cate Saves the Ikopi Rainforest. Asides having a lot of fun as it was an interactive workshop, the kids learnt how to get ideas for stories and how to retain these ideas among other things. The week rounded off on a grand note on Sunday with Chill and Relax, a night of poetry and music. Lest we forget, our short story competition is still on! Send in your original short stories (no articles or essays, please!) to events@kachifo.com. Entries close on 31st of October, 2010. Please visit our blog, https://farafinabooks.wordpress.com for guidelines. Well, it seems there’s something exciting happening every weekend! Last weekend, it was the Farafina Literary Cafe at Newscafe (we’ll give gist on that later for those who missed out! 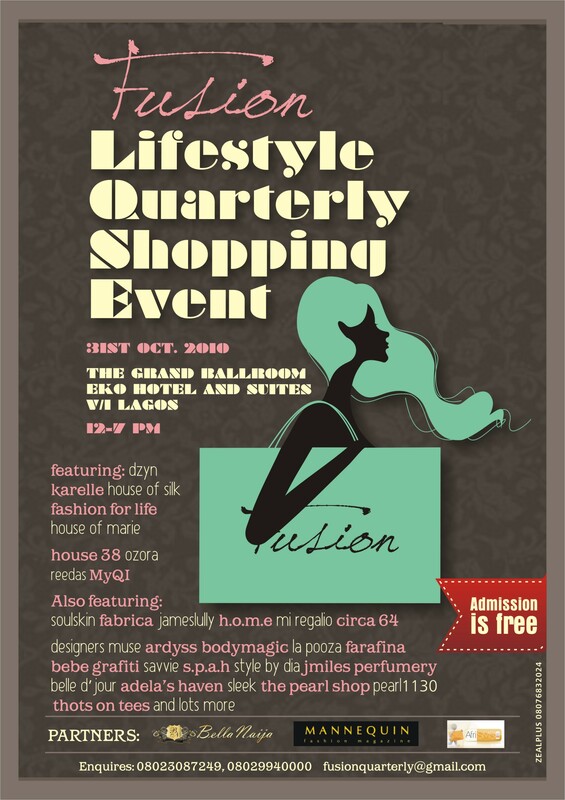 ), this weekend, it’s the quarterly FUSION lifestyle event. FUSION is a quarterly networking event put together by the FUSION lifestyle team. It is also a one stop shop for all your fashion items, home décor, books, and other great stuff. This is the first time FUSION will be holding in Lagos and we are glad to be a part of it! So come Sunday, 31st of October, we would be at the Grand Ballroom of the Eko Hotel & Suites, Victoria Island. Event starts at 12noon and there would be a lot of giveaways! See you there! Hey, all! How was your weekend? A big thank you to all who made it to Newscafe for the Farafina Literary Week. I am sure you all had a blast! For those who missed out, well, watch out for the next event! We recently launched a series of author interviews. As such, every month, we would focus on one author and his work(s). For the month of October, we would like to focus on June 12 by Abraham Oshoko. We conducted an interview with him and we have posted it below. Enjoy! Is writing something you always planned to do or it just happened? especially African based war stories. cartoon characters as the medium of expression? event, perhaps one that questioned the very foundations of our polity. in expressing myself vividly, I decided to combine both gifts. robber and The First Republic: The end of a sad Beginning. What is your writing routine, when best do you write? its production. How long did it take to write the book? What are your future plans – any book in the works? sneak preview of what is coming next. What do you to say to upcoming writers? write. A word of advice: get the books of an author that you respect. develop a style of your own! Well, in celebration of our beloved country’s golden jubilee and in line with our idea of promoting literacy this month, Farafina will be partnering with Newscafe to bring to you the Farafina Literary Cafe from the 21st to the 24th of October. It promises to be fun as there will be book club reviews, celebrity book readings, poetry etc. Also, the chidren are not left out as there would be a writing workshop for kids on Friday, the 22nd. Come chill, relax and have fun in an artistic ambience! And bring a friend along! *All events take place at Newscafe, Palms Shopping Mall, Lekki, Lagos and are free to attend. 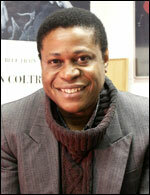 Born in Eastern Nigeria in 1960, Esiaba was knowledgeable in theatre, literature and cinema. An alumnus of the Universities of Nigeria, Nsukka, Sheffield and Leeds, this child of independence as he was fondly called, was a director of stage productions amongst other things. Asides ‘Cemetery Road’, which won the World Drama Trust Award for playwriting in 1992, other published plays by this man of letters include Hangmen Also Die, The Colour of Rusting Gold, Nwokedi, Why the Vultures Head is Naked, What Song do Mosquitoes Sing?. He was until his death, a Distinguished Research Fellow at the Freie University, Berlin, Germany. Here is an opportunity to get published! From now till the end of October, Penguin Books will be receiving book proposals directly from writers. Please read the excerpt below for more. We ask that email submissions comprise a brief covering note and synopsis and not a full manuscripts. Please do not send attachments, please write out your cover note and synopsis in the body of the email. We remain unable to accept hard copy submissions and will not return or be responsible for the safety of any that we do receive, so please do not send any original or hard copy manuscripts to us. We will not contact you with feedback on your submission and will only enter into email correspondence with you if an editor within Penguin is keen to progress your idea.